Cub Scouting is all about adventure! To earn their rank badge, Cub Scouts complete seven "adventures," which are collections of themed, multidisciplinary activities. They also complete safety exercises. Below, you'll find the exact requirements. For your convenience, this page also has the activities to be completed for each adventure. Look for them further down the page. 2. Complete one Tiger Elective Adventures of your den or family’s choosing. Click on the arrow by the adventure you want to review. This will show the activities for the adventure and will give you a link to a page with the articles I've written to help you and your Cub Scout complete them. Your Cub Scout must complete all six of these adventures to earn his Tiger badge. Click here for fun ideas for this adventure. Complete Requirements 1 and 2 plus at least two others. 2. Talk with your den or family about why good nutrition helps you to be strong and active. Bring a nutritious snack to a den meeting. Share why you picked it and what makes it a good snack choice. 3. Make up a game with the members of your den, and play it with den members. After playing the game, talk with your den about the experience. 4. Make up a new game, and play it with your family or members of your den or pack. Then talk with the group about the experience. A. Attend a sporting event with your den or family. B. Before or after the event, talk with a coach or athlete about what it is like to participate in the sport. OR Find out more about the sport and share what you’ve learned with your den or family members before or after the event. Fun ideas for this adventure coming soon! adult what it means to do your duty to God. Tell how you do your duty to God in your daily life. 2. With a family member, attend a religious service or other activity that shows how your family expresses reverence for God. 3. Earn the religious emblem of your faith that is appropriate for your age or grade. 4. Help with a local service project and talk with your den or family about how helping others is part of our duty to God. 5. With the approval of your parent/guardian, den leader, or other caring adult, think of and then carry out an act of kindness or respect that you think shows duty to God. 1. With your parent, guardian, other caring adult, or den, talk about what it means to be part of a team. List some of the teams you are on (den, pack, family, class, etc.). and explain how you can help each one. 2. With your den, talk about your Tiger team. Then make a chart showing all the different ways team members can help the den. Volunteer to take your turn doing at least two different jobs, one of which is leading the Pledge of Allegiance. 3. With your family, talk about how family members each have a role in the family team. Then pick a job that you will do to help the team. Follow through by doing that job at least three times during the next three weeks. 4. With your den or family, participate as a team in a service project that helps our country or your community. 5. With your den, make a chart or picture showing how you and your teammates make a better team because you are alike in some ways but different in others. 1. With your parent, guardian, other caring adult, or den, find out about good food choices and not-so-good choices. Identify three foods that you think would be good choices and three foods that would not be good choices. 2, Explain the importance of hand washing before a meal and clean-up after a meal. Then show how you would do each. 3. Show that you know the difference between a fruit and a vegetable. Eat one of each. 4. With your parent, guardian, or other caring adult, pick a job to help your family at mealtime. Do it for at least four meals. 5. Talk with your parent, guardian, or other caring adult about what foods you can eat with your fingers. Practice your manners when eating them. 6. With your parent, guardian, or other caring adult, plan and make a good snack choice or other nutritious food to share with your den. Complete Requirements 1-3 plus at least one other. 1. With your parent, guardian, or other caring adult, name and collect the Cub Scout Six Essentials you need for a hike. Tell your den leader what you would need to add to your list to prepare for rain. 5. Participate in an outdoor pack meeting or pack campfire. Sing a song or act out a skit with your Tiger den as part of the program. 7. Visit a nature center, zoo, or another outside place with your family or den. Learn more about two animals, and write down two interesting things about them in your Tiger Handbook. Your Tiger must complete ONE of these adventures to earn his Tiger rank badge. But you aren't limited to just one--your family or your den may choose to do as many of these as you would like. A. Learn a magic trick. Practice your magic trick so you can perform it in front of an audience. B. Create an invitation to a magic show. C. With your den or with your family, put on a magic show for an audience. 2. Spell your name using sign language, and spell your name in Braille. 3. Create a secret code. Share it with your family or den. 4. With the other Scouts in your den or with your family, crack a code that you did not create. 5. With the help of your parent, guardian, or other caring adult, conduct a science demonstration that shows how magic works and share what you learned from your science demonstration. 1. Show your loyalty to Tiger orange by bringing in and sharing with your den five items that are the color orange. 3. With your parent, guardian, or other caring adult, decide on one new task you can do to help your family, and do it. 4. Talk with your parent, guardian, other caring adult, or den about polite language. Learn how to shake hands and introduce yourself. 6. With your parent, guardian, or other caring adult and den, work on a service project for your pack’s meeting place or chartered organization. Complete Requirement 1 and at least three others. Note that any requirement may be completed based on family of origin or family with whom you live. 1. Discuss with your parent/guardian, a family member, or other caring adult where some of your family members originated. Discuss family history, traditions, and culture—your family heritage. Share a story or bring something to share with your den about yourself and your family. 3. Visit your public library to find out information about the heritage of some of your family members. 4. Interview one of your grandparents or another family elder, and share with your den what you learned. 5. Make a family tree designed for your particular family. 6. Share with your den how you got your name or what your name means. 7. Share with your den your favorite snack or dessert that reflects the cultural heritage of one of more of your family members. 8. Learn where some members of your family came from, and locate the place(s) on a map. Share this information with your den. With the help of your parent/guardian/other caring adult, locate and write to a pen pal there. Complete Requirements 1-4 plus at least one other. 1. With your den, say the SCOUT water safety chant. 2. With your den, talk about why it’s important to have a buddy and then play the buddy game. 3. Show how to safely help someone who needs assistance in the water, without having to enter the water yourself. 4. Show how to enter the water safely, blow your breath out under the water, and do a prone glide. 5. Identify five different types of boats. 6. Build a boat from recycled materials, and float it on the water. 7. Show that you can put on and fasten a life jacket correctly. 1. With your den, parent/guardian, or other caring adult, say the Scout Law. Explain to your den one of the 12 points of the Law and why you think a knight would have the same behavior. 2. If you have not already done so, make a code of conduct with your den that will describe how each person should act when you are all together. If your den has a code of conduct, discuss with your den the updates it might need. Vote on which actions should go in your den code of conduct. 3. Create a den shield and a personal shield. 4. Using recycled materials, design and build a small castle to display at the pack meeting. 5. Think of one physical challenge that could be part of an obstacle course. Then help your den design a Tiger knight obstacle course. Participate in the course. 6. Show your understanding of knights’ service to others by participating in a service project in your community. Complete Requirements 1 – 3 plus at least two others. 1. With your den or parent/guardian or other caring adult, try on safety gear you should use while riding a bike. Show how to wear a bicycle helmet properly. 2. With your den or parent/guardian/other caring adult, learn and demonstrate safety tips to follow when riding a bicycle. 3. Learn and demonstrate proper hand signals. 4. With your den or parent/guardian or other caring adult, do a safety check on a bicycle. 5. With your den or family, go on a bicycle hike wearing your safety equipment. Follow the bicycling safety and traffic laws. 6. With your den or parent/guardian/other caring adult, discuss two different types of bicycles and their uses. 8. Visit your local or state police department to learn about bicycle riding laws. 9. Identify two jobs that use bicycles and discuss how they are used. Complete Requirements 1 -3 plus at least one other. 1. With your den or parent/guardian/other caring adult, go outside to observe the night sky. Talk about objects you see or might see. 3. Find out about two astronauts who were Scouts when they were younger. Share what you learned with your den. 4. Observe in the sky or select from a book, chart, computer, or electronic device two constellations that are easy to see in the night sky. With your parent/guardian or other caring adult, find out the names of the stars that make up the constellation and how the constellation got its name. Share what you found with your den. 5. Draw and name your own constellation. Share your constellation with your den. 6. Create a homemade model of a constellation. 7. Find out about two different jobs related to astronomy. Share this information with your den. 8. With your den or family, visit a planetarium, observatory, science museum, astronomy club, or college or high school astronomy teacher. Before you go, write down questions you might want to ask. Share what you learned. Complete at least four of the following requirements. 1. Visit an art gallery or a museum, explore an art website, or visit your library. 2. Look closely at pictures of some art with your den or a family member. Decide what you like about the art, and share your ideas with the other Tigers. 3. Create a piece of art on paper, poster board, or canvas. 4. Draw or create an art piece using shapes. 5. Use tangrams to create shapes. A. Play a video game with family members or den members in a tournament. Fun ideas for this adventure coming soon. Complete 1–8. Requirement 9 is optional. 1. Memorize your address, and say it to your den leader or parent/guardian/other caring adult. 2. Memorize an emergency contact’s phone number, and say it to your parent, guardian, or den leader. 3. Take the 911 safety quiz. 5. Show you know how to safely roll someone else in a blanket to put out a fire. 6. With your parent/guardian or other caring adult, make a fire escape map of your home and explain it to family members and your den. 7. With your parent/guardian or other caring adult, try a practice fire drill at home. 8. Find the smoke detectors in your home. With the help of your parent/guardian or other caring adult, check the batteries. 9. Visit an emergency responder station, or have an emergency responder visit you. 1. Choose one active game you like, and tell your den about how to play and why you like this game. 2. Play two team or relay games with your den. Tell your parent/guardian or other caring adult or the other Tigers what you liked best about each game. 3. 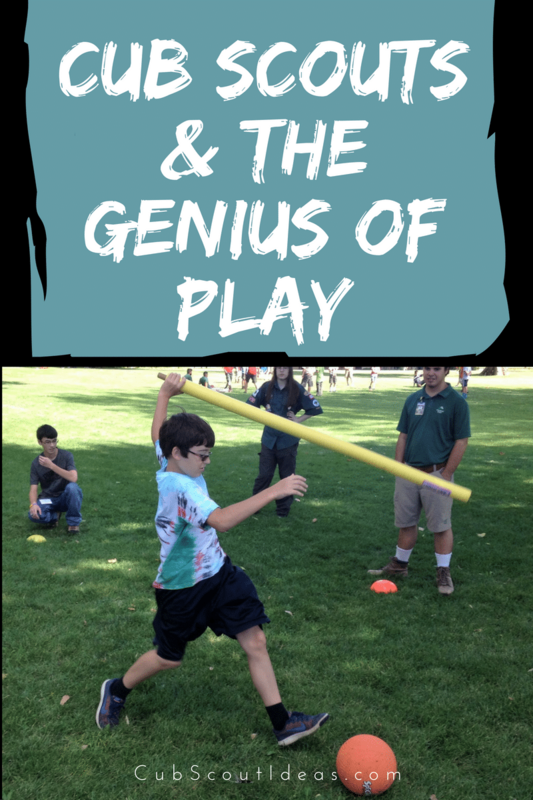 Have your den choose a team or relay game that everyone can play, and play it at least twice. 4. With your parent/guardian or other caring adult, select an active outside game that you could play with the members of your den. Talk with den members about the games suggested by all Tigers. With your den, decide on a game to play and play the game that your den has chosen. After the game, discuss with your den the meaning of being a good sport. 2. Create your own tall tale. Share your tale with your den. 3. Read a tall tale with your parent/guardian or other caring adult. 7. Visit a historical museum or landmark with your parent/guardian or other caring adult. 2. As a den, play a game of one-word charades. 3. Make a puppet to show your den or to display at a pack meeting. What Are the Cub Scout Six Essentials for Hiking?